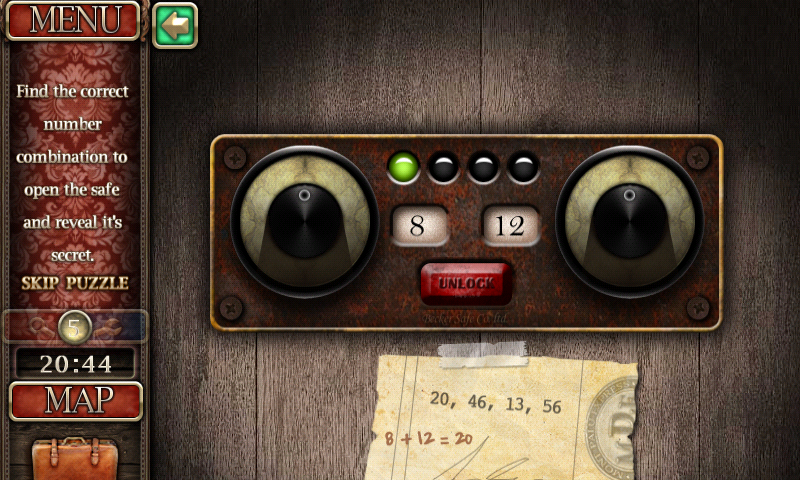 You may have already played this game on a computer or an iDevice, but it has recently made its way into the Android Market and is really worth a mention. 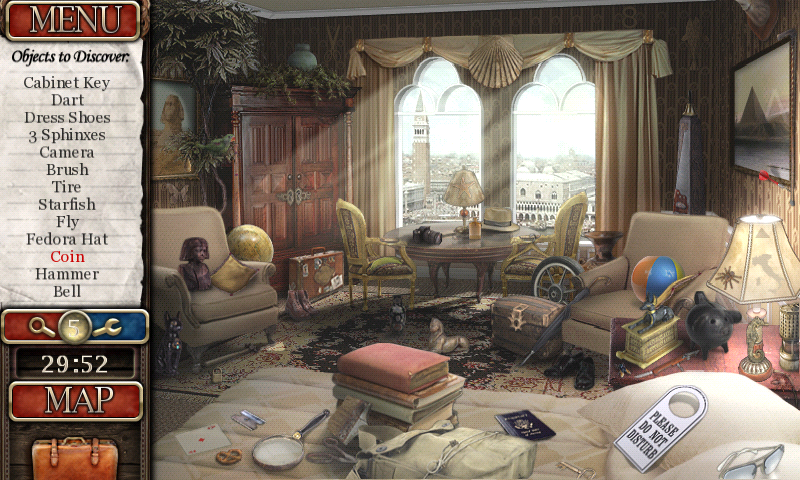 We don't usually cover many hidden object games here at Android Police, but The Serpent of Isis by Big Fish Games really has something captivating about it. 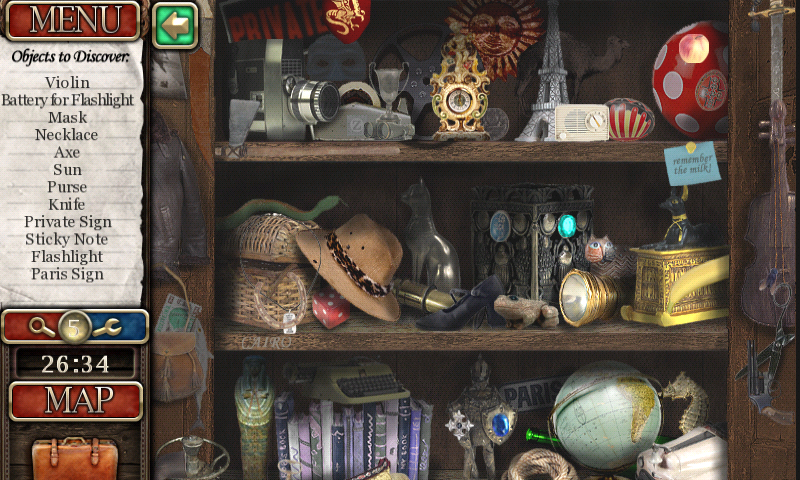 Not only is it challenging to find the objects you're looking for, but the whole game ties very nicely into an interesting and suspenseful plotline. While this is the idea behind nearly every game in this genre, not many can do it well. The whole game is centered around finding The Serpent of Isis, an ancient Egyptian artifact that your grandfather found several decades ago. It was stolen by a group of thieves, and you've had no luck in tracking them down until you receive an anonymous tip on their whereabouts. 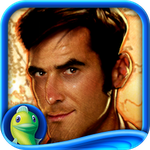 This sends you into a race against time, as you search for clues that could ultimately lead you to the treasure you seek to find. Sounds pretty interesting, right? As the story progresses you'll find yourself in a number of different places, searching for objects and clues that will unlock the next location. 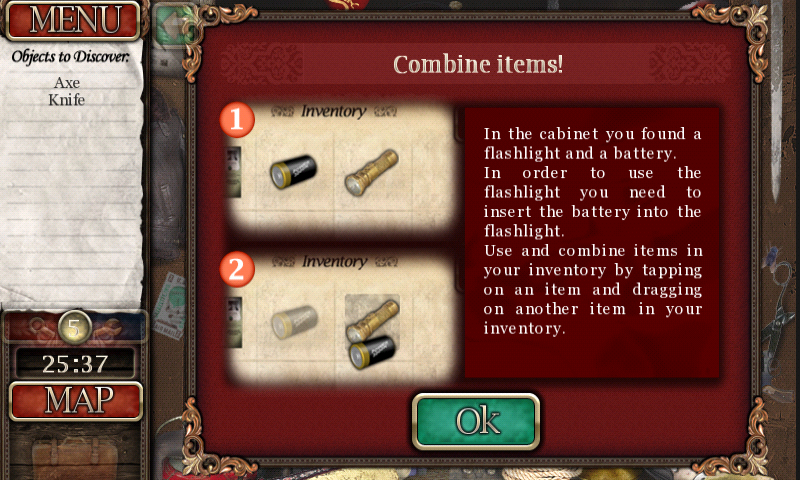 Admittedly, most of the stuff you're required to find has no connection to the story whatsoever, but the items you do need are among them. Some items will be added to your inventory and can be used to find other objects, or can be combined to help you with quests. 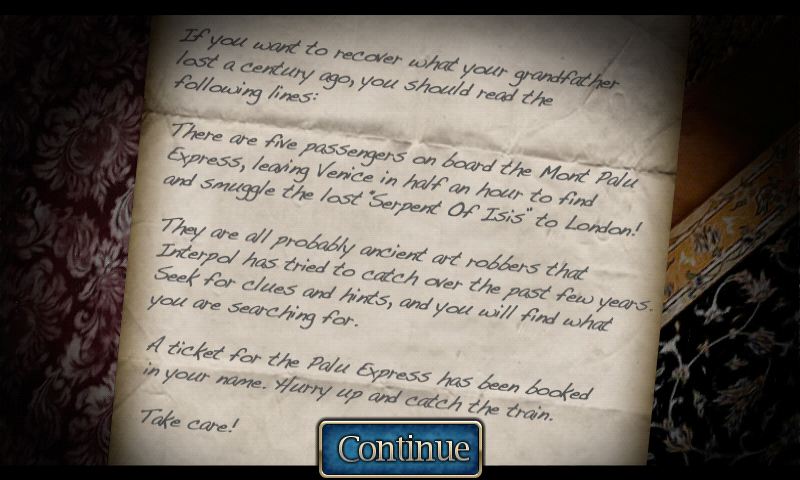 These mini-quests are simple, but I feel like that brings a fresh spin into the mix. 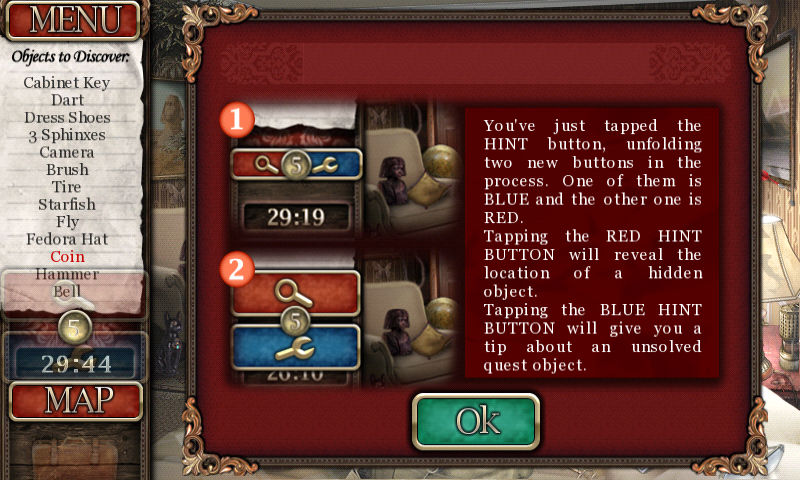 Just when you get tired of searching for objects, you'll enter a mini-quest and have to piece together a puzzle or unlock a safe. 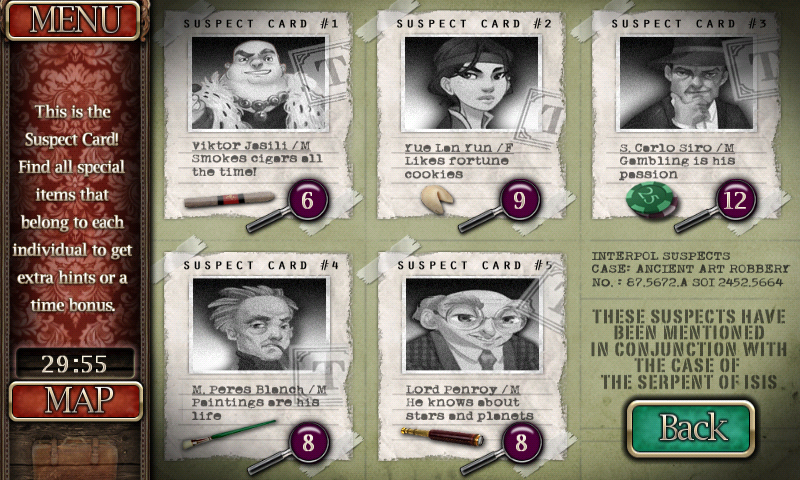 This really brings everything full-circle, and adds to the Sherlock Holmes feeling that this game emits. 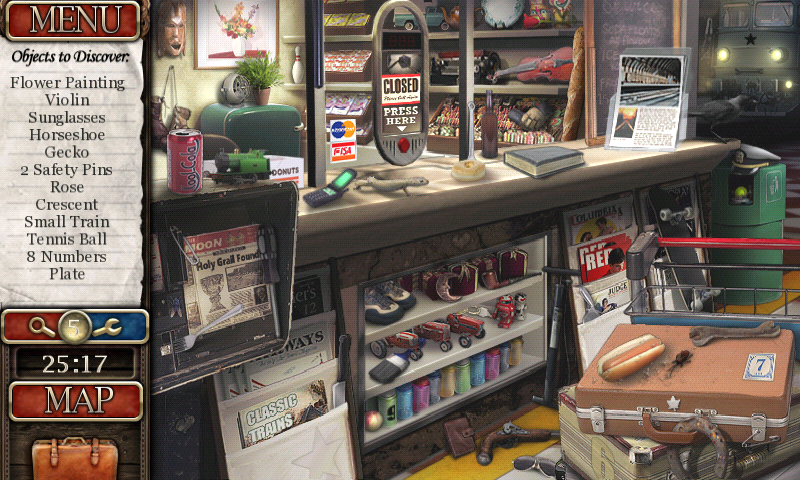 In addition, if you're looking to just relax and find some objects, you can play the whole game in 'Relaxed Mode' which completely turns off the timer. 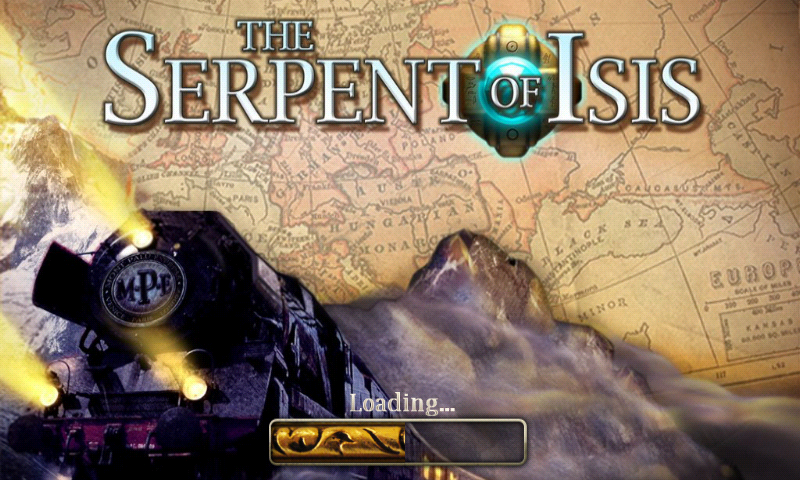 The Serpent of Isis isn't just the ordinary tap-to-find hidden object game - it offers so much more and really goes in-depth to intertwine with the story. 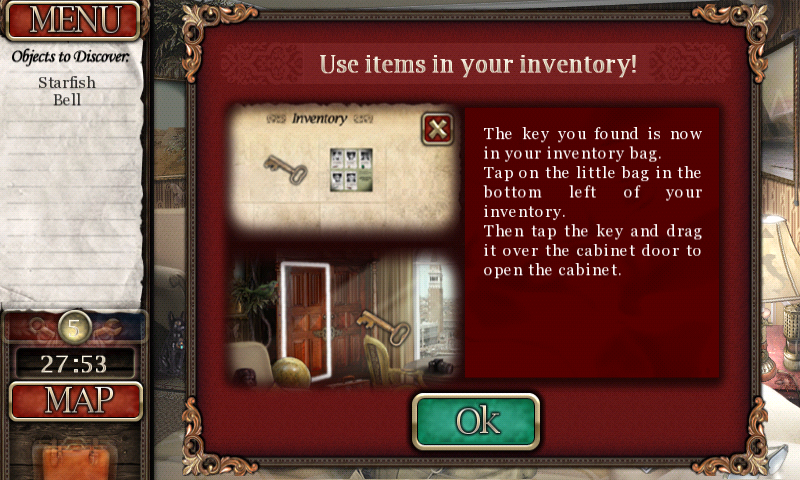 Not only are you finding objects, but you're finishing puzzles and quests, all to unlock a bit more of the story. I'm usually not too fond of titles from this genre, but this one really drew me in. The only negative thing I have to say is that the sales tactics are a little misleading. Aside from a disclaimer in the description, it appears that the entire game is free. However, it's just a demo and you have to pay $3.99 through an in-app purchase to access the full game.